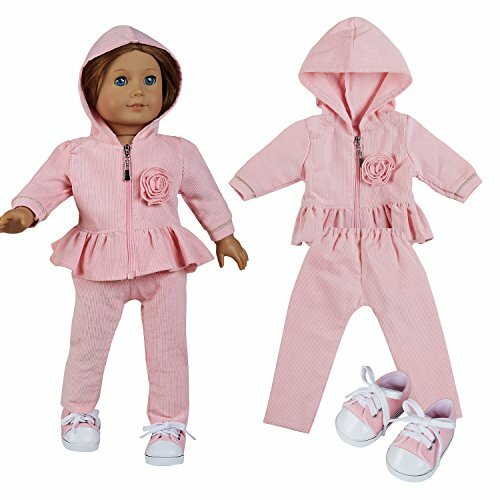 【1】Fundolls Collection doll clothes - 3 Piece sport clothes Includes pink hoodie with rose flower,pink long pants,matching pink tennis shoes, fits 18 inch dolls. 【3】Machine washable for easy cleaning. 【4】Recommended for ages 4 and up. •Fully handmade and unique design. 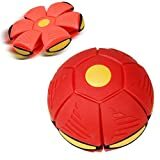 •Machine washable for easy cleaning and maintenance. •Recommended for ages 4 and up. "Length: 12 inch Width: 9.5 inch Weight: 0.03 pounds"
We offer a 30-day return policy for this product. In any case, if you are not satisfied with the product, first, please contact us and we will do our best to your satisfaction. In the event that you receive defective or damaged merchandise, we will replace the item at no cost to you. Exchanges are subject to availability. We offer the best prices around on high-quality products. We are confident that you will find a wide range of different product. Access to real people to get your questions or concerns answered quickly. We are a clearinghouse for consumer,major retailers and distributors, as such your item may ship directly from Amazon clarified warehouse to reduce the handling fees, delivery time and pass the savings to you. We try our very best to make sure every customer is completely satisfied. If there are some unexpected issues, please feel free to contact us. We're happy to help! If you are satisfied with your purchase, kindly leave your suggestion. 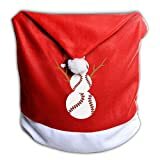 Please visit our AMAZON store with Fundolls to check out other items for sale!